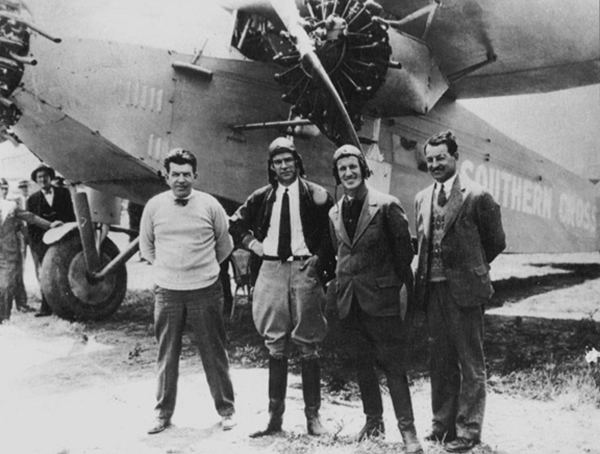 In 1928 famed Australian aviation pioneer Charles Kingsford Smith (“Smithy”, 1897-1935), fellow Australian co-pilot Charles Ulm, navigator Harry Lyon and radio operator James Warner (both Americans) completed the first ever Trans-Pacific flight from the United States to Australia. Charles Ulm convinced George Allan Hancock, a Californian businessman with oil money, to pay for an aircraft and fund the flight. 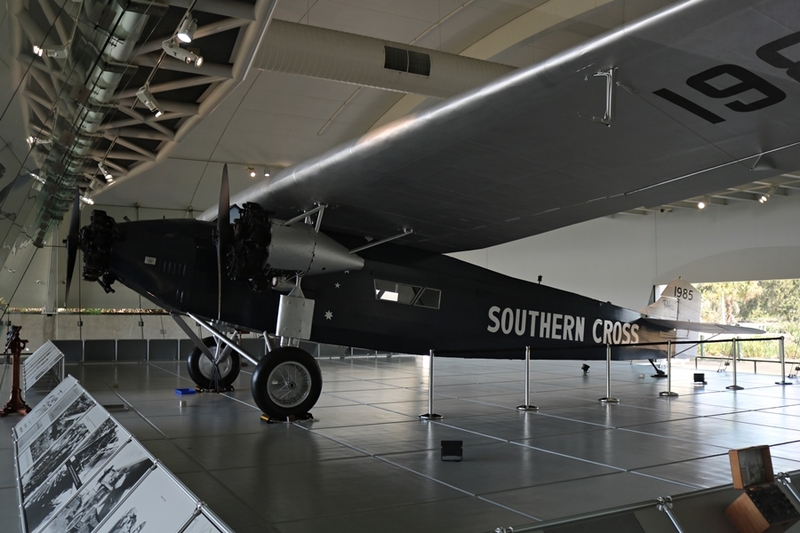 They flew aboard an aircraft that would go down in history in Australia, the Fokker Tri-Motor F.VIIb/3m Southern Cross. Named after the constellation, Southern Cross would also feature in the names of future aircraft flown by “Smithy”. Kingsford Smith had actually purchased the aircraft in a damaged state prior to this in 1927 but following repairs and upgrades for the flight (new engines and increased fuel capacity), had used up most of the funds available. He had to sell it to George Allan Hancock, who then loaned the aircraft back to Kingsford Smith for the Trans-Pacific flight! The Fokker Tri-Motor F.VIIb/3m was a converted 1920’s era airliner, featuring a fabric covered steel tube airframe and a spruce wooden wing with a plywood skin. 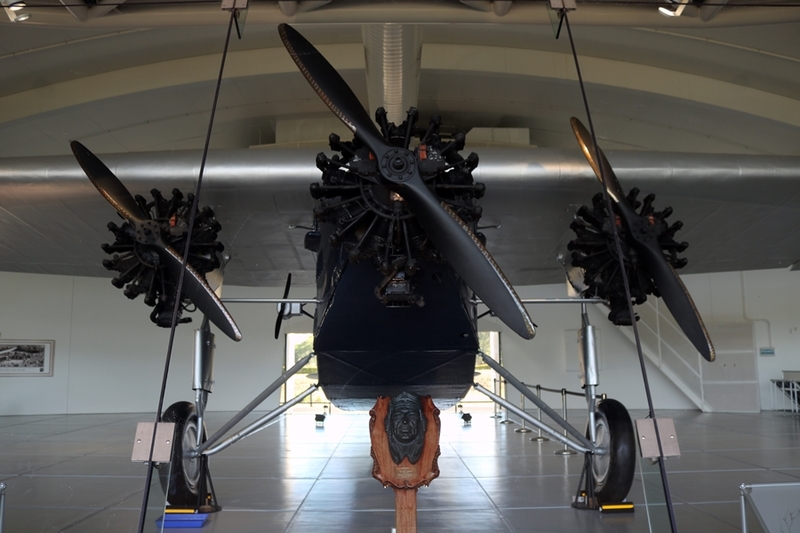 Fitted with three Wright Aeronautical Corporation Model J-5 Whirlwind 9-cylinder radial engines (replacing the original J-4 engines) the Southern Cross had a cruise speed of 170 km/h (106 mph)and a top speed of 190 km/h (118 mph). On May 31st, 1928 they took off from Oakland, California and set out for Honolulu, Hawaii for the first fuel stop (the flight took 27 hours and 28 minutes). The next leg was to Suva, Fiji. 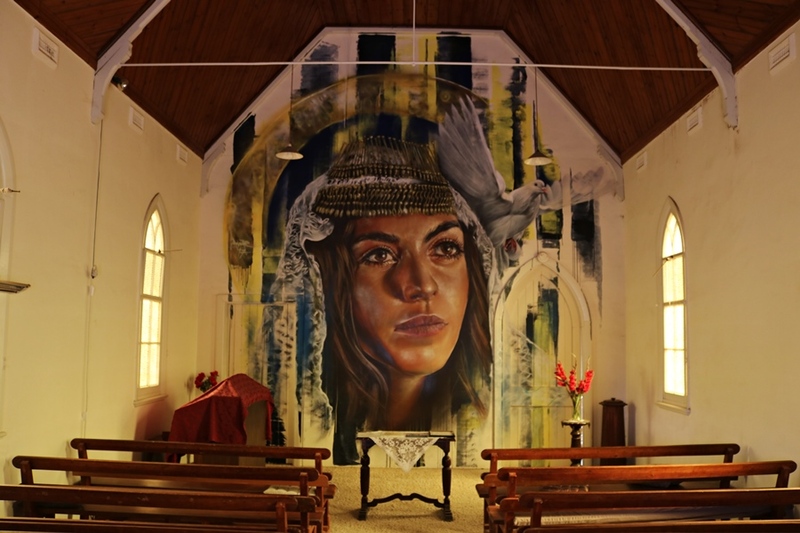 Storms and strong winds knocked them off course and an engine was running poorly but 34.5 hours later, the Southern Cross landed in front of a large and enthusiastic crowd who came out to see the first ever aircraft to land in Fiji. At the time this also became the longest ever flight over open water – daunting stuff! To maintain constant communication on the flight the Southern Cross was fitted with five radio sets, three to send and two to receive. To aid in navigation four compasses were onboard. The final leg of the Trans-Pacific flight was to Eagle Farm Airport in Brisbane, Queensland (“Smithy” was born in Brisbane). Apparently they passed through a violent storm on this last leg and were again knocked off course when they experienced a malfunctioning magnetic compass due to lightning causing electrical interference. 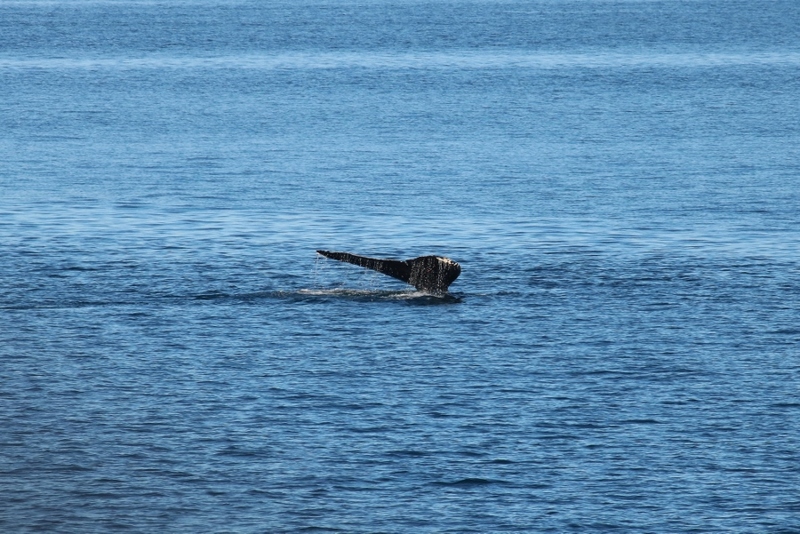 Things got very rough as they had to fly at times just a few feet above the water! 21 hours and 35 minutes later they were very thankful for getting through and landing safely in Brisbane on June 9th, 1928. Kingsford Smith and crew were greeted by 25,000 people! He apparently set foot out of the plane and greeted the awaiting crowd with “Hello Aussies!“. 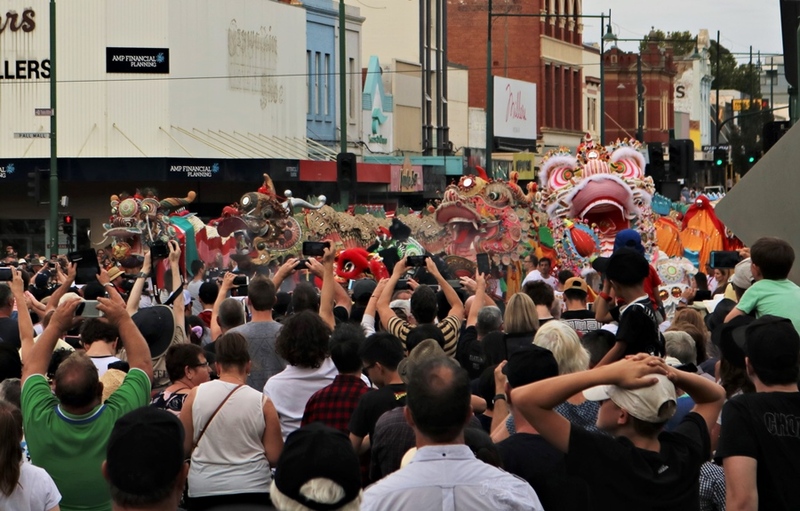 After completing the journey from the United States in 83 flying hours, across approximately 11,670 kilometres (7,250 miles), they continued the celebration by flying to Sydney the very next day and landing before 300,000 people! 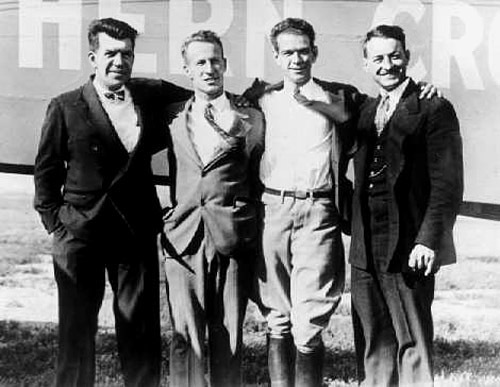 A message was wired through from United States President Calvin Coolidge congratulating them on the record-breaking journey and sponsor G. Allan Hancock apparently informed Kingsford Smith and Ulm that they didn’t need to pay him anything back and could keep the Southern Cross! He sounds like a top bloke! 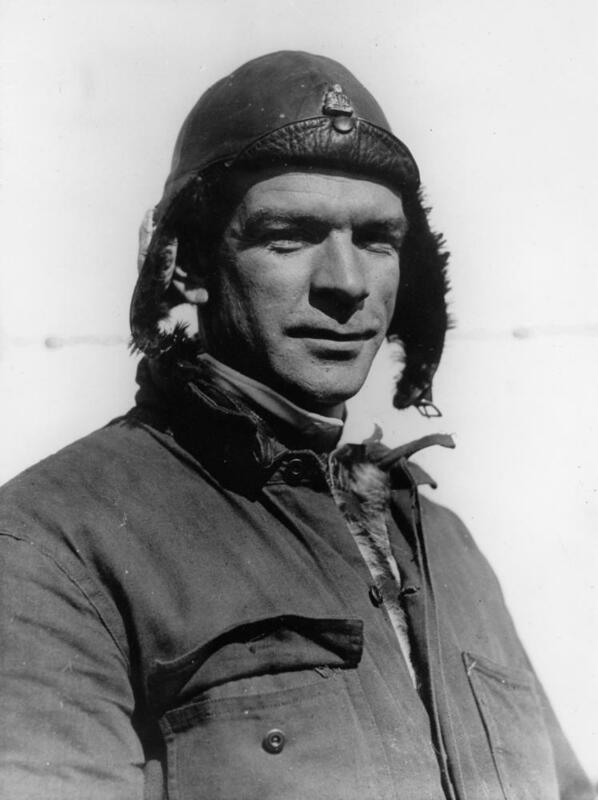 For his achievement Kingsford Smith was given an honorary title of Air Commodore in the Royal Australian Air Force and was awarded the Air Force Cross (AFC). The AFC was granted for “an act or acts of exemplary gallantry while flying, though not in active operations against the enemy“. 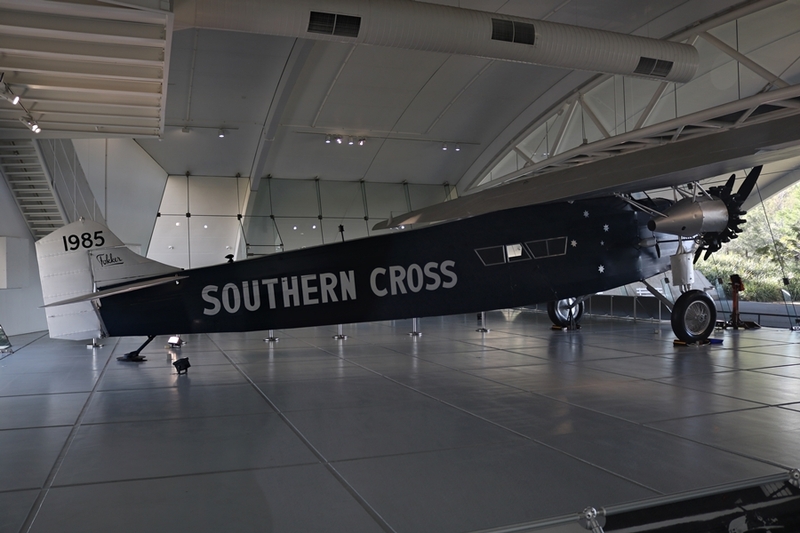 Kingsford Smith and Ulm were not done with record-breaking flights and soon took the Southern Cross on the first non-stop flight across Australia. On August 8th, 1928 they flew with Harold Litchfield as navigator and New Zealander radio operator Tom McWilliams from Point Cook, Victoria near Melbourne, to Perth in Western Australia. 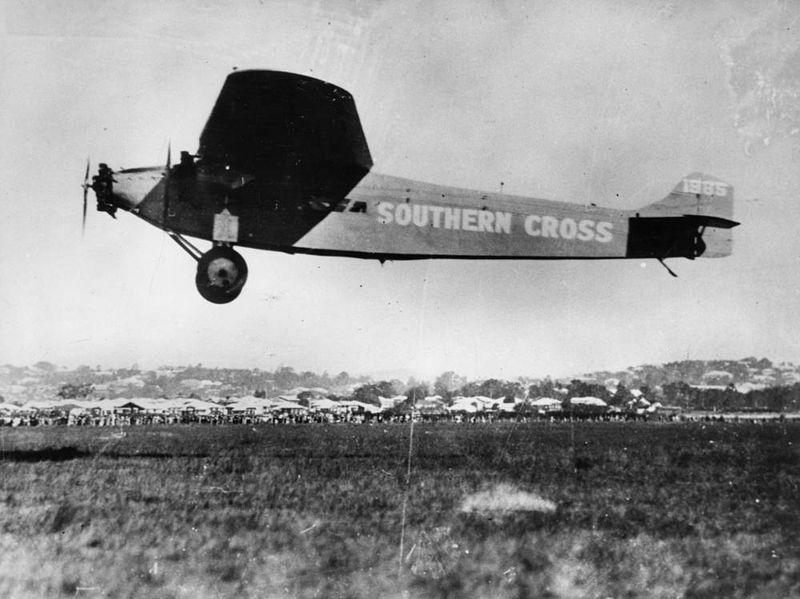 The same crew set off in the Southern Cross once again on the first non-stop Trans Tasman flight from Sydney, Australia to Christchurch, New Zealand, completing the journey between September 10th to 11th, 1928. The radio failed soon after take-off and storms struck the flight again and Kingsford Smith and Ulm had to fly blind for much of the flight due to heavy rain and ice obscuring the windshield. Despite this they completed the 2,670 km flight in 14 hours and 25 minutes. 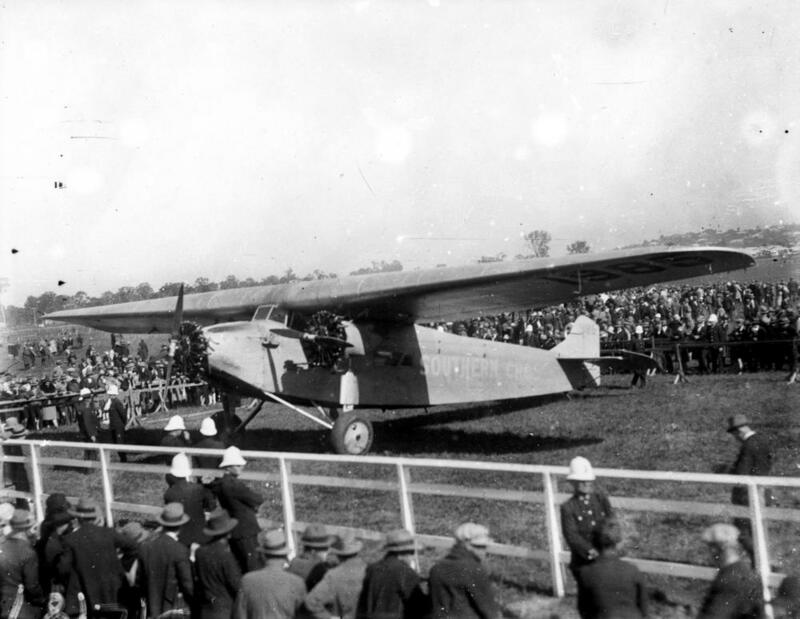 30,000 people greeted them upon landing at Wigram Aerodrome in Christchurch. They returned to Australia in October. In May 1929 this record-breaking crew took off from Sydney to fly to England but they had to force land and got lost up in North Western Australia for 12 days! Another aircraft found them safe and sound but sadly two men died during the overall search for the missing men. 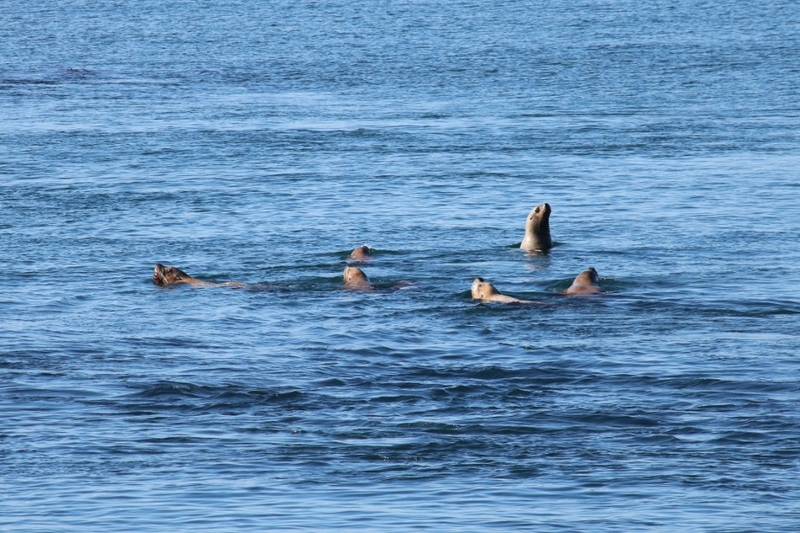 On June 25th they set off again and made it to England in a record of 12 days and 18 hours. Growing up in Australia, “Smithy” was well-known to myself and is a true Australian hero. Sadly I think much of his life and achievements are little known to many these days but he is certainly not forgotten! Charles Kingsford Smith served as a soldier in the Australian Imperial Force (AIF) at Gallipoli in 1915 (starting with the rank of Private) and went on to serve in Egypt and France. In October 1916 as a Sargeant, he transferred to the Australian Flying Corps but by 1917 had become an accomplished military flyer after transferring again to the Royal Flying Corps (RFC) in France. He shot down four enemy aircraft in his first month of flying with RFC No. 23 Squadron before being wounded and losing three toes. Awarded the Military Cross for gallantry, despite his wound, he became a military flight instructor and reached the rank of Lieutenant. After the war became a Hollywood stunt pilot, and back at home a barnstormer and commercial aviator on mail runs in Western Australia but was born to break records. 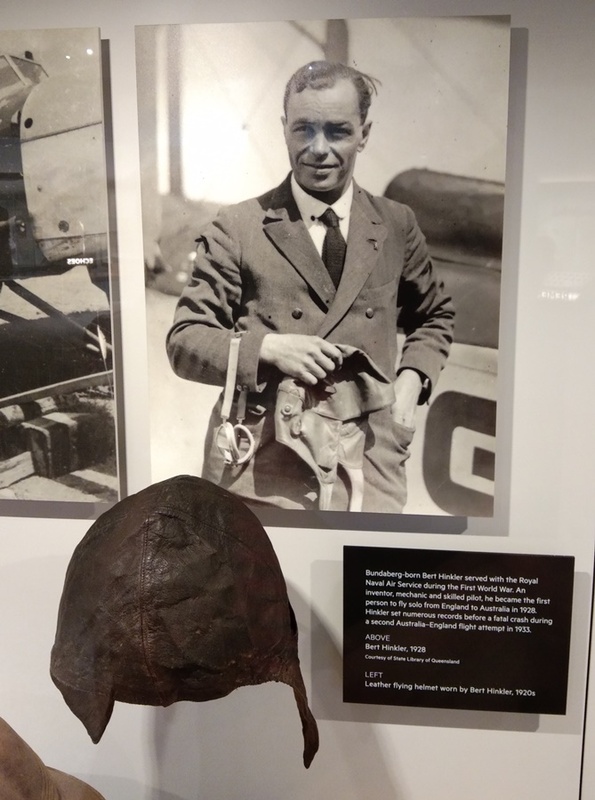 In addition to his famous flights between 1928 and 1929, “Smithy” continued to rack up aviation achievements to prove the viability of long-distance passenger flights and air mail routes. In 1930, he and Charles Ulm established Australian National Airways with five aircraft to conduct inter-city flights in Australia (unfortunately the airline folded in 1931 following crashes of two aircraft) and in 1935 he began a Trans-Tasman airmail service but it was breaking flight records that he will for ever be remembered. He completed a round the world flight in 1930 in the Southern Cross when he made it back to Oakland in California, flew solo to win the 1930 England to Australia air race in an Avro Avian Southern Cross Junior, completed the first commercial flight from Australia to New Zealand and back in 1933, broke the England to Australia solo record again in 1933 flying a Percival Gull Miss Southern Cross and completed the first west to east Pacific Ocean crossing in 1934 with navigator Gordon Taylor flying Lockheed Altair Lady Southern Cross. He was the world’s long distance aviation king, and was knighted for his contribution to aviation in 1932. 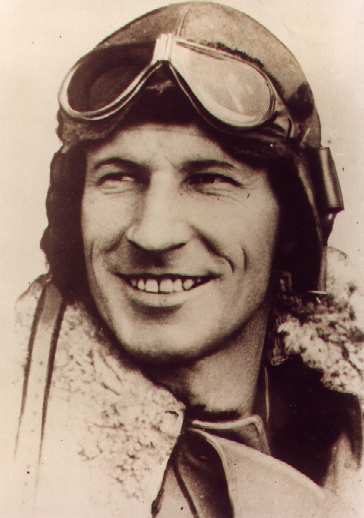 Charles Kingsford Smith was a larrikin, who loved a drink and was a heavy smoker. His personality and flying achievements endeared him to the people of Australia. Sadly we lost a true national hero on November 7th, 1935 when “Smithy”, at just 38 and co-pilot John Pethybridge disappeared in their Lockheed Altair Lady Southern Cross during a typhoon over the Bay of Bengal, near Burma. They were on another attempt at the fastest England to Australia flight. Charles Ulm, a World War One veteran also sadly died in tragic circumstances. He crashed into the ocean in 1934 during an attempt to recreate the 1928 Trans-Pacific flight. The Americans, Harry Lyon and James Warner passed away in their late 70’s. 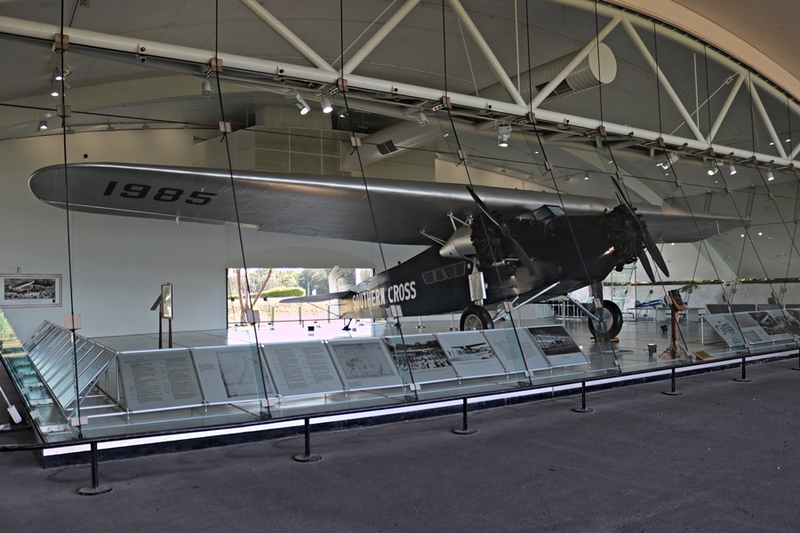 The Fokker Tri-Motor F.VIIb/3m Southern Cross was originally registered as “1985” and that is what is displayed on the wings today but it was re-registered by Kingsford Smith in Australia as “G-AUSU” from July 4th, 1928 to July 3rd, 1929, and then “VH-USU” from April 5th, 1931. 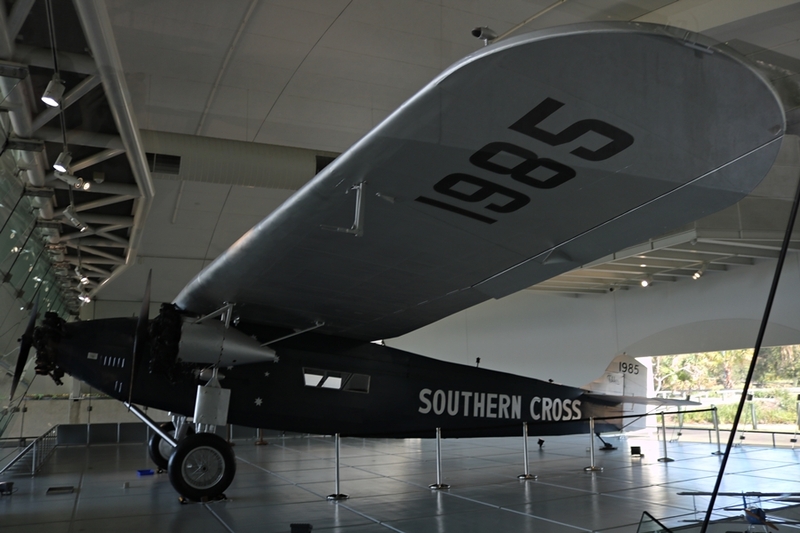 Kingsford Smith sold the Southern Cross to the Australian Government for £3000 in September 1935 to be displayed as a museum piece. 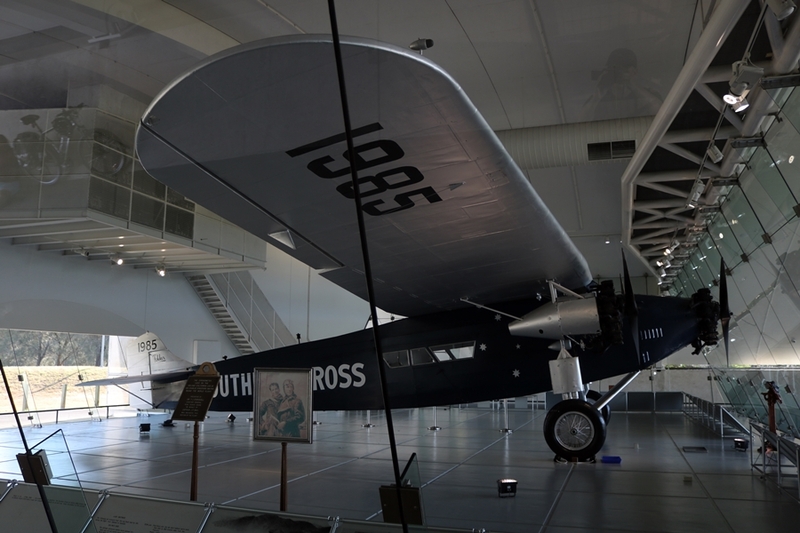 The Southern Cross flown by an RAAF crew, featured in the 1946 movie “Smithy” about Charles Kingsford Smith and the 1928 Trans-Pacific flight. Australian actor Ron Randell played “Smithy” and the movie was called “Southern Cross” in the UK and “Pacific Adventure” in the United States. 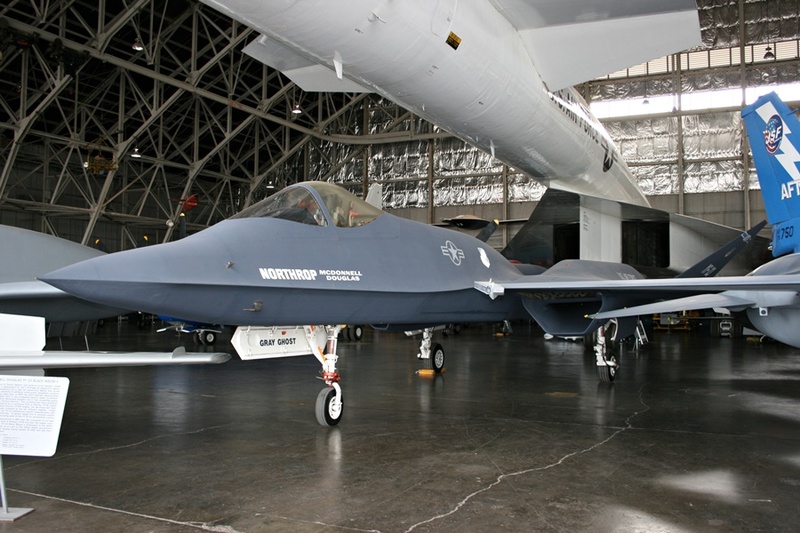 The aircraft was allocated to RAAF No. 3 Communication Unit in New South Wales from May 1945 until February 1946 and during this period was flown for 36 hours and 35 minutes. Allocated to Civil Aviation at Mascot airport in New South Wales in February 1946, the last flight of this record breaker is believed to have been in 1950. 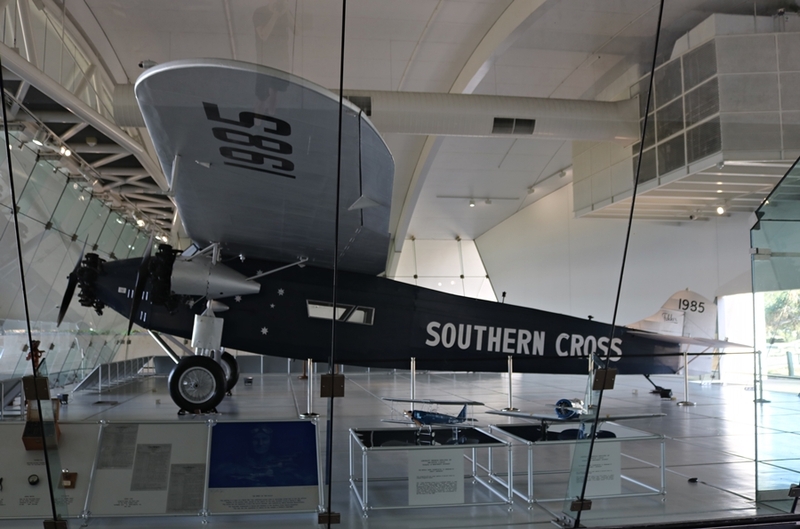 The Southern Cross was refurbished and restored in 1985 for display at the Brisbane Airport. 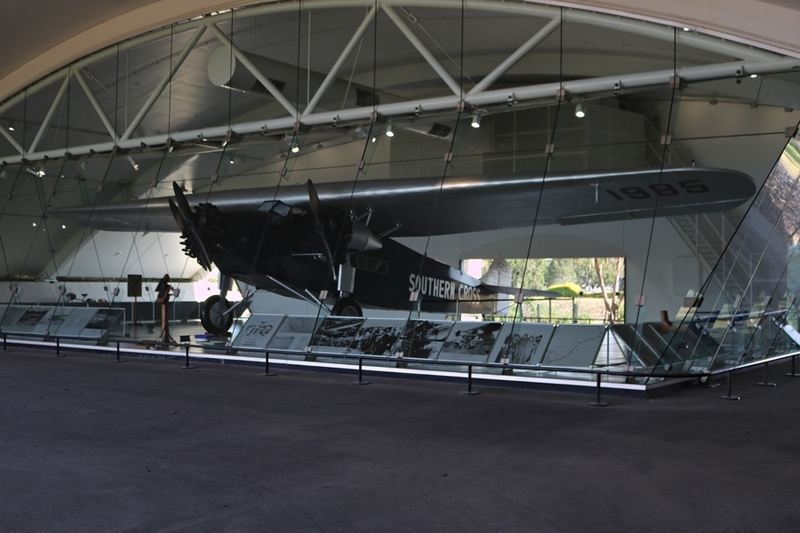 Today that very aircraft can still be found at the Brisbane Airport within the Kingsford Smith Memorial. 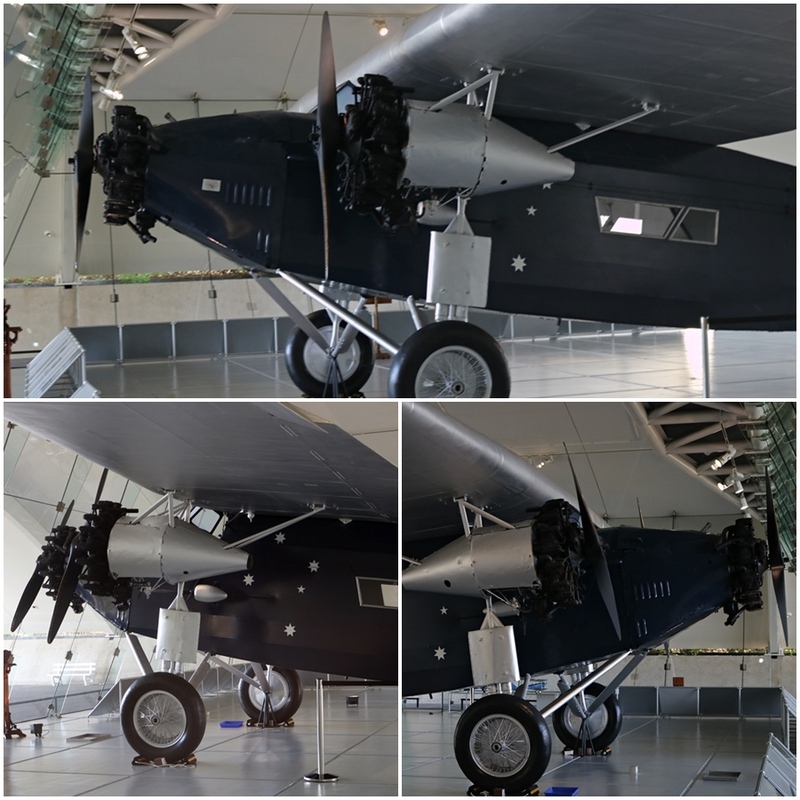 I was at the airport in November 2018 and could not miss taking a look once again at this historic aircraft. 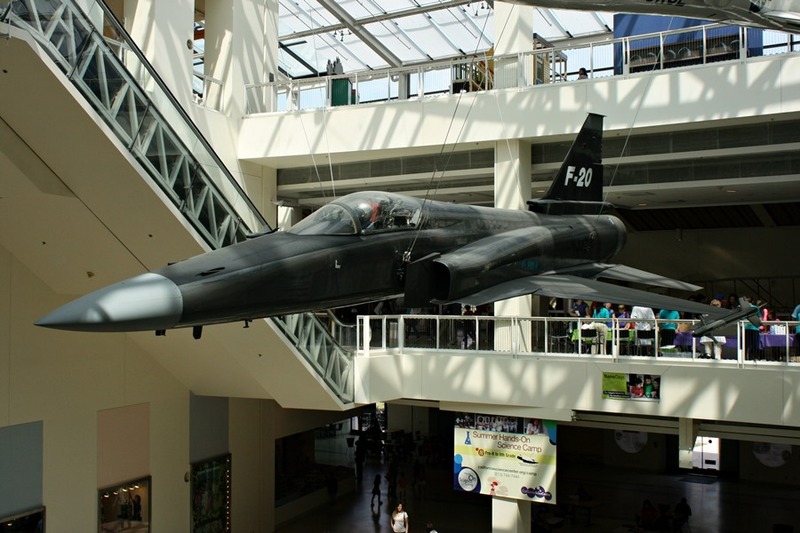 Although preserved behind glass, you can get see the aircraft from most angles and get a good look at it. The sun glare and reflection seems to be countered somewhat by shading from the memorial building roof and the angled glass, which makes photography much easier than say the Smith Brothers Vickers Vimy Memorial at the Adelaide Airport! 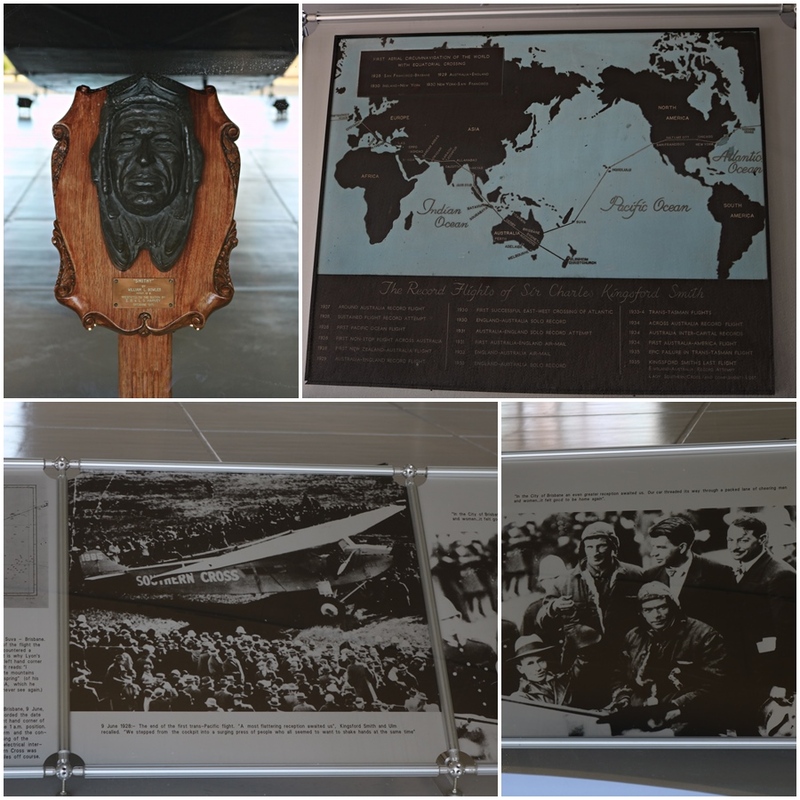 The Kingsford Smith Memorial near the International Airport is open 24/7 and free. 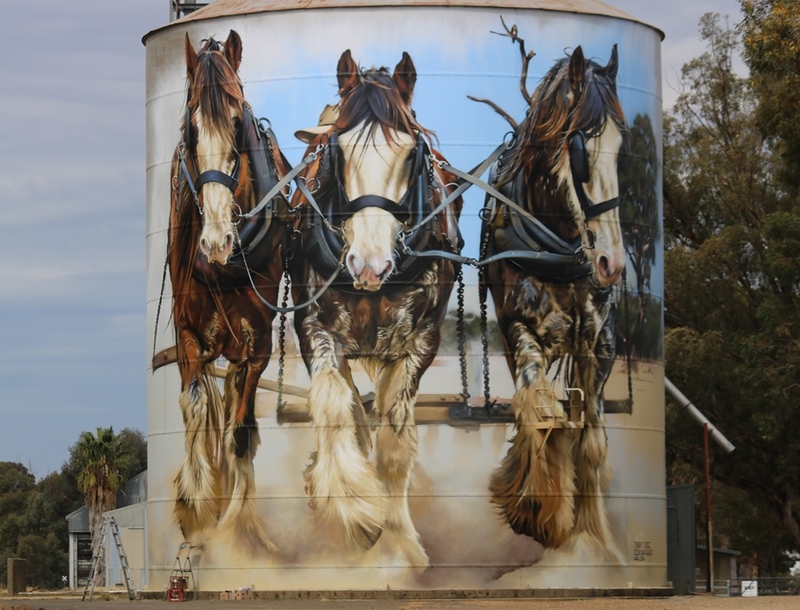 Don’t miss it as this is a great way to see a famous piece of Australian aviation history! In the 1980’s a replica Southern Cross was built in South Australia and I remember seeing it fly into my home town in 1988 on a tour around Australia to raise money for the Royal Flying Doctor Service. This aircraft was also registered as “VH-USU” as per the original was from 1931. 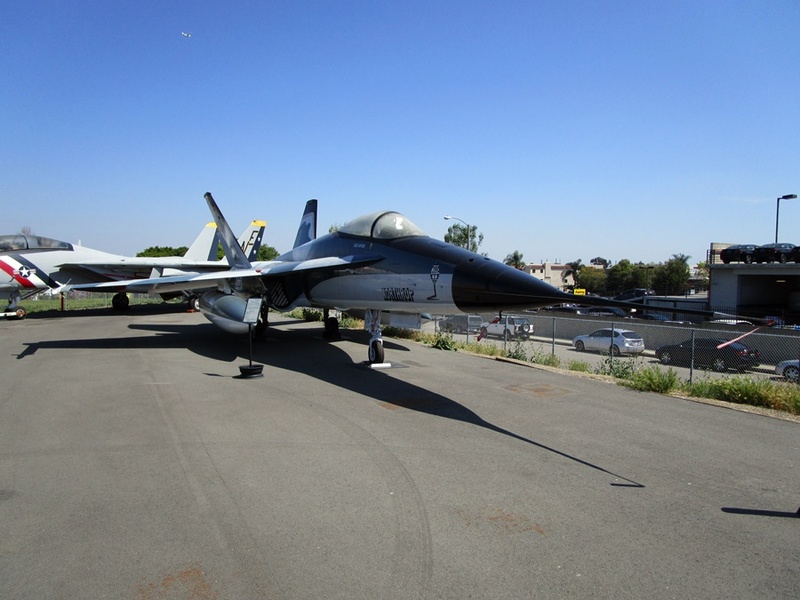 Following take-off on May 25th, 2002 at Parafield Airport in South Australia, the replica lost a wheel and had to make an emergency landing. Successfully landed on one wheel, as the aircraft came to a stop, the wing came down and the tip of it snapped off! 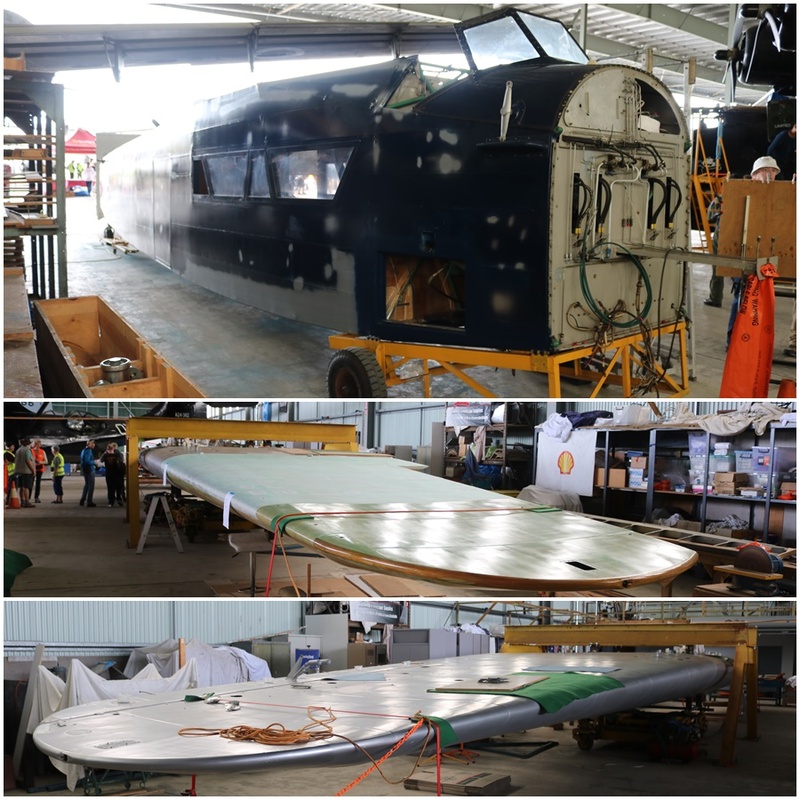 Today the replica is owned by the Historical Aircraft Restoration Society (HARS) who acquired it from the South Australian Government in 2010 and are restoring it back to flight. I saw the aircraft again as a restoration work in progress at HARS during the 2017 Wings Over Illawara air show. 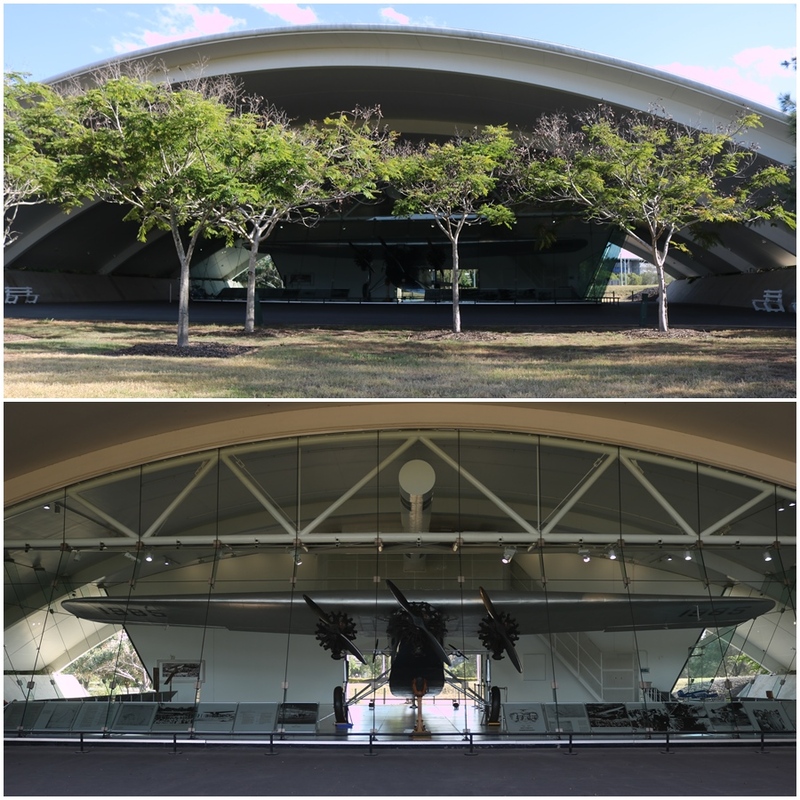 Nearby at the Queensland Museum in South Bank, Brisbane you can see another important long-distance pioneering aircraft flown by fellow Queenslander, Bert Hinkler (1892-1933) – Avro Avian G-EBOV Avian Cirrus. 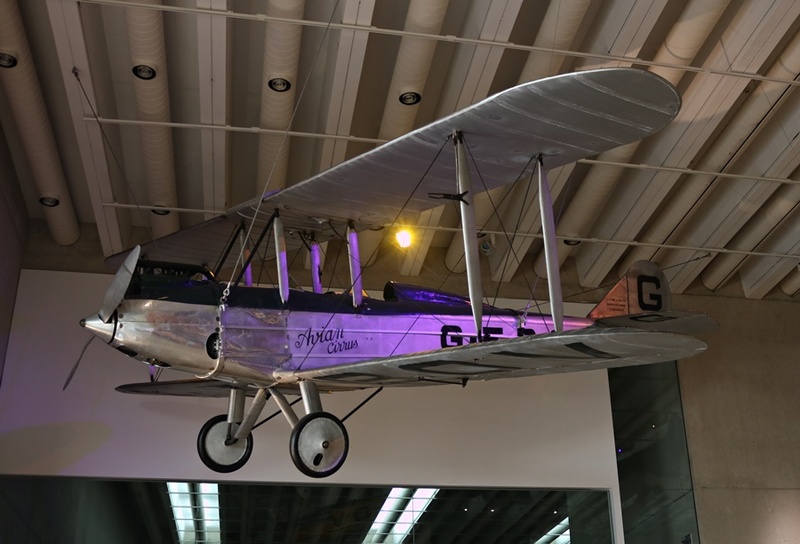 Hinkler made two long-distance flights in this aircraft – the first in 1927 from London, England to Riga, Latvia and the second, the first epic solo flight from London to Darwin, Australia in 1928! Hinkler completed the 18,000km flight in 15 days with 128 hours of flying. This is a relatively small biplane aircraft, making his feat even more impressive! 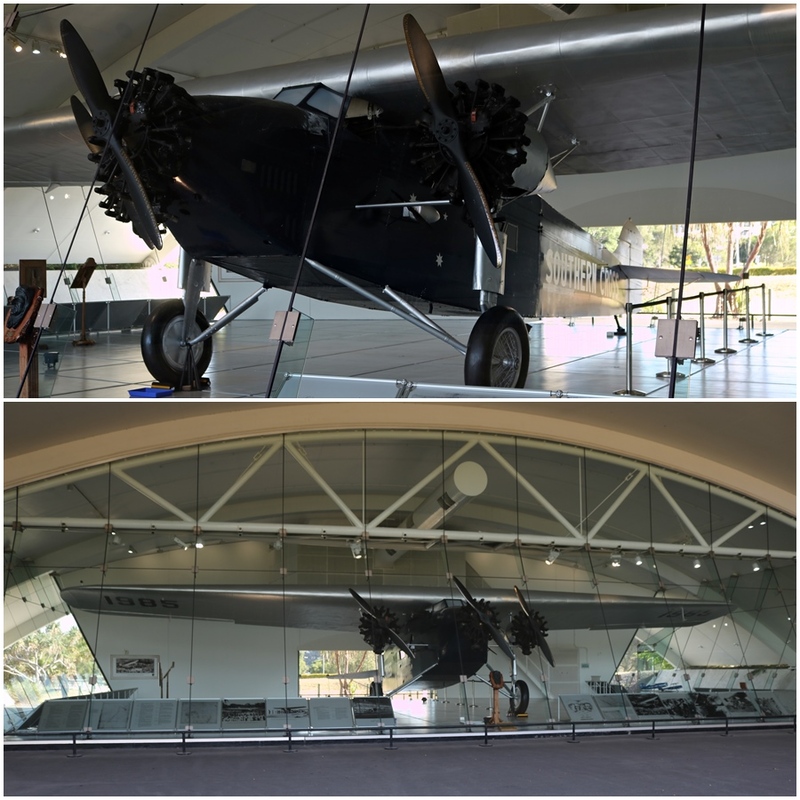 He donated the aircraft to the Queensland Government in 1929 for museum display. Sadly Hinkler, a Bundaberg boy who flew with the Royal Naval Air Service as an observer/gunner and then as an Royal Air Force pilot during World War One, and set numerous aviation records, died in a tragic crash in the Italian Alps in 1933 at just 40 years of age. 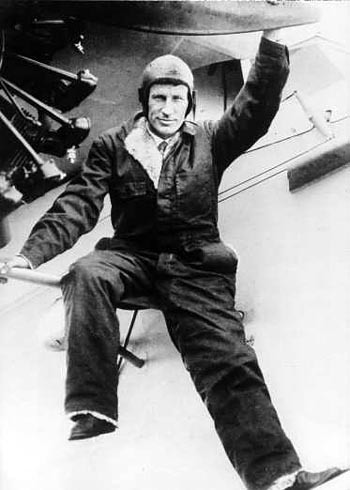 He was attempting a second record-breaking solo flight from England to Australia. An excellent account with excellent photographs! These men were unbelievably brave and modern aviation owes so much to them. Thanks. They truly were brave pioneers! The men pulled off a fantastic feat for that day and age. Keeping the plane must have felt like a terrific reward. The movie sounds familiar, but I’m not positive I’ve seen it. The ‘Southern Cross’ looks grand, even by today’s standards! They were leaders in their field for the day and even though these aircraft were primitive by todays standards they were built so well!